Chottanikkara Makam is a highly auspicious day observed at the famous Chottanikkara Bhagavathy Temple in Kerala. 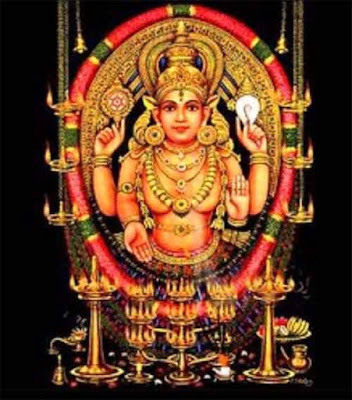 Chottanikkara Makam 2019 date is February 19. It is observed on the day when Makam or Magham Nakshatram falls in the Malayalam Month Kumbham. This temple is dedicated to Goddess Shakti and attracts thousands of devotees daily. Women devotees arrive in large numbers on the Makam Thozhal day and are given preference at the temple. On the Chottanikkara Makam day, the Murti of Goddess is taken out on a ritualistic bath. From there the Goddess Bhagavathi is accompanied by Lord Sastha and eleven caparisoned elephants to the open ground known as Poora Parambu – she stays there till noon. After this the Goddess returns to her Sanctum Sanctorum and appears later on the day for the famous Makam Darshanam or Makam Thozhal. The Goddess appears in full splendor fully adorned with jewels. It is believed that prayers offered at this period will be fulfilled. Chottanikkara Temple is located near Cochin and is about 20 km from Ernakulam Railway Station. Attukal Pongala which witnesses the largest congregation of women in the world takes place at the Attukal Temple in the capital city of Kerala during the same period - mostly a day later or on the same day as Chottanikkara Makam. The annual festival at the Chottanikkara Temple is observed for seven days in Kumbham month. Chottanikkara Pooram is an important date during the festival. On the pooram nakshatra day in Kumbham month, the famous Pooram ezhunnellippu is observed. The ritual involves the carry of utsava murti atop an elephant. Total 7 elephants participate in the Pooram ezhunnellippu observed in the morning and at night. The pooram rituals are held the day after the famous Chottanikkara Makam ritual. The festival ends on the next day (Uthram Nakshatram) day.